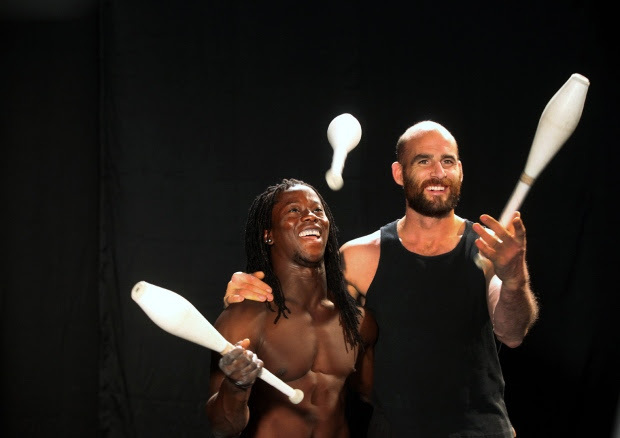 Circus Without Borders is a documentary about Guillaume Saladin and Yamoussa Bangoura, best friends and world-class acrobats from remote corners of the globe who share the same dream — to bring hope and change to their struggling communities through circus. Their dream unfolds in the Canadian Arctic and Guinea, West Africa, where they help Inuit and Guinean youth achieve unimaginable success while confronting suicide, poverty and despair. Seven years in the making, this tale of two circuses, Artcirq and Kalabante, is a culture-crossing performance piece that offers a portal into two remote communities and an inspiring story of resilience and joy.